Sitting slap bang in the middle of the Italian Riviera, Finale Ligure seems an unlikely host for a mountain bike holiday in Italy, but since becoming home to the Italian MTB academy it has rapidly become one of Europe’s most exciting bike destinations. Over the last couple of years, local bikers have been working hard, and trails have sprung up everywhere both along the coastline and through the forests. This region was criss-crossed by paths originally used by the chestnut gatherers and now the trails that cut back and forth across the hillside make excellent natural riding! Our routes focus on singletrack fun. At times they are fast and flowing, other times they are tight and technical. All intermediate to advanced riders will have an amazing time exploring Liguria's trails. As a centre based holiday this itinerary is not our most physically demanding, but a good level of fitness is required to get the most out of the trip. While the days are not long in distance, the intense nature of the riding easily makes up for this! This two centre based trip we have designed for our keen Skedaddle riders takes in the best of Liguria, combining great riding with the delights of Italian Riviera life. Our tour starts in Alassio, a fashionable seaside town, where the trails branch out into the Italian Alps. The terrain is a mix of open hillsides and woodland with dusty singletrack that flows through the trees. Later we move to Finale Ligure which has become a paradise for mountain bikers. There is a huge variety of riding to explore but is generally more technical than the hills around Alassio with berms, switchbacks and rocky sections to keep us on our toes, and hopefully our bikes. 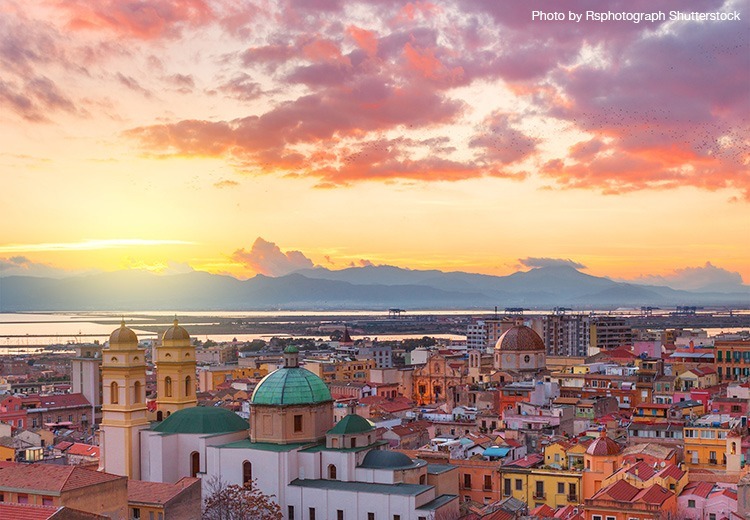 The post 12 hours in… Cagliari! appeared first on Skedaddle Blog.